polyamide 12 tolerates stone contact and our paddle blades are made of polyamide12, a very impact-resistant and weatherproof plastic that has proven itself in our production for years. This allows us to build paddle blades that are particularly thin without having to be thickened at the edge. This allows the leaves to immerse particularly easily with every stroke. This feature, together with the sophisticated blade geometry, means that the initial phase of each paddle stroke is particularly efficient: the paddle blade dips in quickly, is optimally positioned and is immediately available for power transmission. Nevertheless, the thin leaves are stable and have very little abrasion. This is a feature that is particularly desirable for whitewater paddling. But even a touring paddle with blades made out of Polyamid have great advantage. The blanks of the paddle blades are produced industrially in our injection moulds in Germany by a supplier. The blades of the easy version are reinforced with glass fibres, which are slightly cheaper, more impact-resistant and can be dyed. 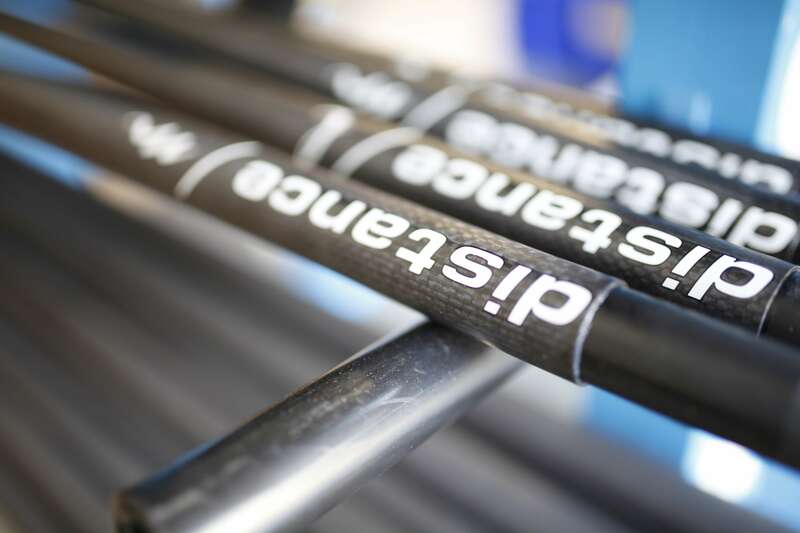 The blades of the high-end versions are reinforced with much more expensive carbon fibres, which achieve greater rigidity, higher stifness at lower weight but cannot be dyed. The shafts are also manufactured industrially from prepregs (pre impregnated sheet material), so that the resin and fibre content and their combination are of uniform quality. The quality of the shaft is reproducible and reliable. The shafts used by us consist of several layers of glass fibre fabric inside. Approximately two outer layers of carbon fabric are applied, the surface is finely ground and polished. The result is shafts with a beautiful finish that fit perfectly in the hand even when wet. The shafts are manufactured in Germany by a supplier according to our specifications. For more than 15 years we have been working together with the same partner companies for the preliminary products. The HE shaft we use has proven to be the most interesting one over the years. Here we have made small changes again and again and today we are very satisfied with the result we can offer.